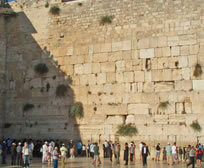 Airport meeting and assistance and transfer to your hotel in Jerusalem. Pick up from hotel. 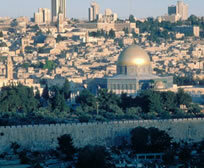 Explore the biblical and cultural highlights of Old and New Jerusalem. 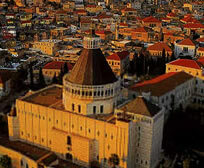 Sights include Mount Zion, the ‘Old City’ and the Western Wall, the Stations of the Cross and the Church of the Holy Sepulchre, Yad Vashem Holocaust Museum. Depart Jerusalem and descend to the lowest place on earth. Drive along the shores of the Dead Sea to the rock fortress of Masada. Visit Herod’s palaces, dating back 2000 years. Then hear about the zealots who defied the Roman Empire from this location. 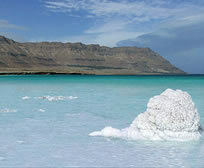 Enjoy a chance to swim in the Dead Sea. The water is so rich in salts and minerals that you float! Early morning departure north to Nazareth, to see the town of Joseph and Mary. Visit the Church of the Annunciation. 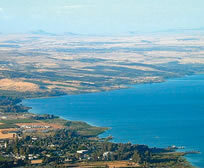 Continue to the Sea of Galilee via Canna to visit the ruins at Capernaum. Stop at Tabgha, where the Miracle of the Fishes and Loaves took place. Onto Tel Aviv via the Baptismal site at Yardenit. Pause at Caesarea, to visit the Roman Theatre and the Crusader Fortress with its unique dry moat. Then to the port city of Haifa to view the magnificent Bahai gardens from atop Mount Carmel. 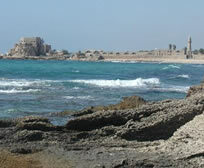 Continue north to Akko (Acre) to explore the Knights’ Halls and the secret escape tunnel dug by the Crusaders. Arrive at Rosh Hanikra, the most northern point on the coast to walk through the beautiful grottos carved by the sea. Other exciting tours are available on request!